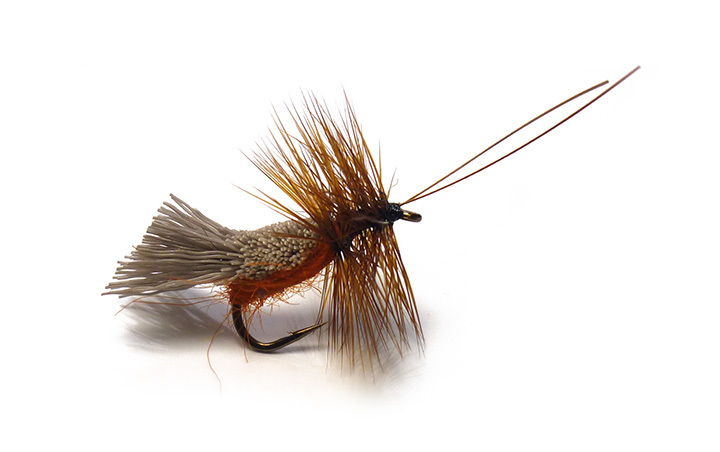 The G & H Orange Sedge is a variant of John Goddard's legendary caddis pattern. It features the classic clipped deer hair body with and under-body of orange. This sedge imitation is virtually unsinkable and makes an attractive wake when skated across the river's surface.